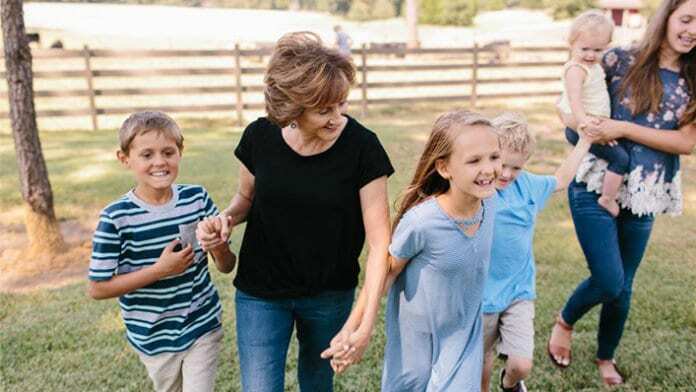 In her new book, Climb Every Mountain: Finding God Faithful in the Journey of Life Trudy Cathy White — the only daughter of Chick-fil-A Founder, S. Truett Cathy — opens up about growing up with a strong foundation of faith, and how to foster that in our own children. I grew up on a farm. I have such vivid memories of my brothers and me running and playing outside while my mother tended to her flower beds in the yard. Every now and then, Mother would call me over and ask me to “help.” Even at a young age, I knew helping my mother with the flowers meant that she wanted to teach me something—and most of the time I was willing to listen. She had such a wonderful way of making deep truths come alive. Once, as she carefully tilled and fertilized the ground, I asked her why she couldn’t just dig a hole and drop in the seeds. She looked up and said, “Trudy, just as a building will crumble without a good foundation, a plant will wither and die without fertile soil. We can plant the seeds, water them, and fuss over them, but if they aren’t planted in fertile ground, they’ll never grow big and strong.” She explained that a tree can only stand tall when it’s able to put its roots deeply in the ground and draw vital nutrients from the earth below. Looking back, I now realize that Mother wasn’t just teaching me about gardening; she was preparing me to one day raise my own children. In the 13th chapter of Matthew’s gospel, Jesus tells a parable about a man planting seeds. Some fell by the wayside and were devoured by birds. Some fell into stony places where roots could not grow, so they withered away in the heat of the sun. Some fell among thorns and were choked before they could grow. None of those was a good outcome. However, some of the seeds landed in fertile soil where they grew strong and produced an abundant crop. Like those seeds, a productive life requires strong roots that grow deep into the fertile soil—the fertile soil of faith. To abide means to dwell or reside. When we are born again, our home is Christ, and through Him, the kingdom of God. We are actually joined to Christ in a supernatural way, as Acts 17:28 explains, “in Him we live and move and have our being” (NKJV). He is one with the Father and we are one with Christ. By planting our faith in Jesus, we are literally rooting our lives in the very power and security of Almighty God. There can be no stronger foundation, no ground more fertile than this. And yet, how often do we see parents—even Christian parents—putting their faith in other forms of security? 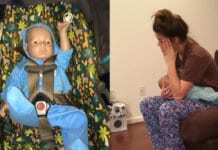 People try to provide stability for their children by focusing on things—a big house, plenty of activities, trips, cars, gadgets, and so on. The list of material things masquerading as security is endless. But security is not about where you live or how you live; security is about for whom you live. I saw this played out in a dramatic fashion when I was in high school. I had the opportunity to study for a time in Paris. Most of the students who accompanied me overseas had wealthy parents and living so closely with them during this time allowed me to see their values in an up-close and personal way. I was shocked and saddened by what I saw. The lives of many students seemed to revolve around money and possessions. As a result, their lifestyle choices challenged me. I felt pressured to “go with the flow” and follow them into some really bad decisions. After all, an entire ocean separated me from my family; they’d have no idea what I was doing. It was hard at times, but I was determined to make choices that were consistent with my faith and what my parents taught me. That was only possible because they had done such a good job making sure I was firmly rooted in my faith in Christ. I like to contrast my time in Paris to what my husband and I experienced serving as full-time missionaries in Brazil. We were met with poverty, a foreign culture, different language, unfamiliar foods, and social norms that were far outside our experience. If my roots had been in the comforts and security of home, I would have folded like a house of cards. I would have literally been uprooted from everything that held me in place. However, since my foundation was in Christ, I made it through just fine. Jesus, my Rock and foundation, was in Brazil with me. I thank God every day for parents who worked hard to make sure I had my feet planted on solid ground. Their faithfulness to God’s calling gave me the best possible start in life and ensured my roots would grow deep and strong in the unmoving, unshakable bedrock of Jesus Christ. 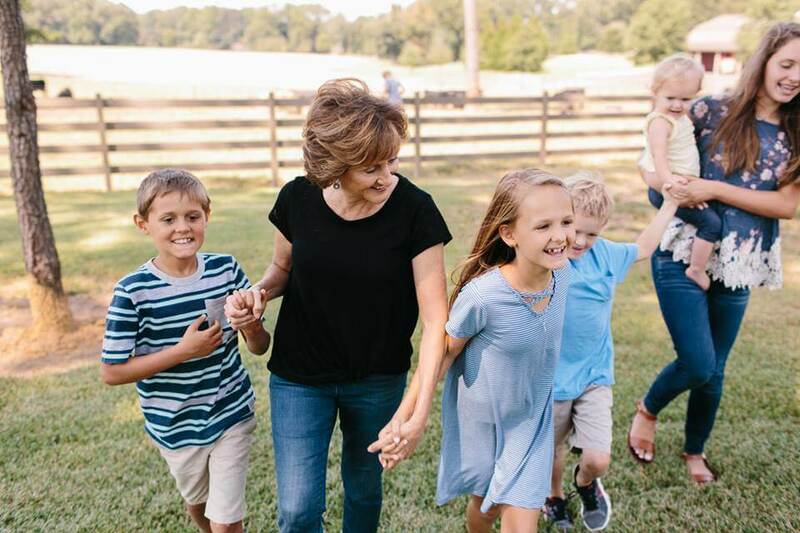 Raising godly children is not for the faint of heart. It’s difficult and messy. John and I struggled a lot. We often felt battered from storms of uncertainty and confusion that hit unexpectedly as we struggled to equip our children with the roots they needed. Even when things got dark and chaotic, we knew God would see us through. We held fast to the words of David, “Even though I walk through the darkest valley, I will fear no evil, for you are with me” (Psalm 23:4, NIV). God was with us through every moment we spent in a dark valley; with our faith rooted firmly in Him, we were able to face each one with peace and hope. That’s the kind of depth we must provide for our children—a deep, secure foundation upon which they can “live [their] lives in him, rooted and built up in him, strengthened in the faith as [they] were taught, and overflowing with thankfulness” (Colossians 2:6–7, NIV). That firm foundation isn’t just fertile soil for growing roots; it’s a launching pad for sending amazing adults out into the world. 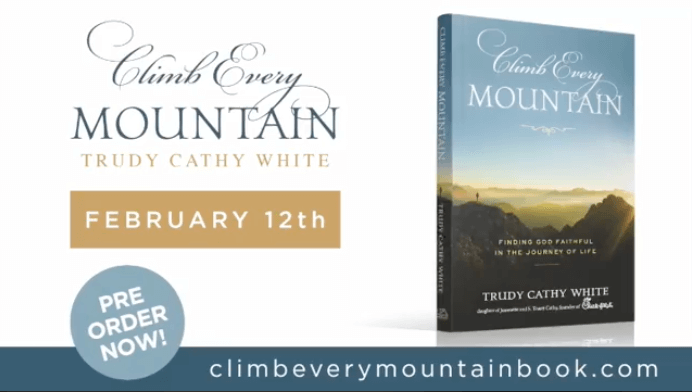 For more from Trudy Cathy White, check out her new book, Climb Every Mountain: Finding God Faithful in the Journey of Life, available now.